Last summer the volunteers of the New York/New Jersey Trail Conference put a tremendous amount of work into one of the popular trails in the Ramapo Reserve known as the Vista Loop. 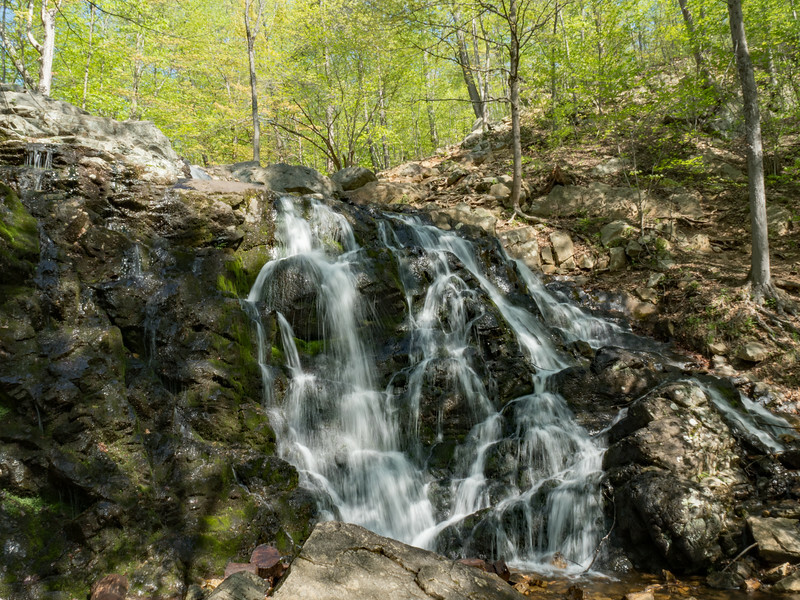 Their efforts included the installation of a series of stone steps that now bring the trail alongside this picturesque waterfall. They also pulled down a large log that had resided in the midst of the Falls since our arrival here years ago. The result is this charming view of the Falls, running strong with Spring rains amidst the newly green woods of northern New Jersey.